Versatile design offers low center of gravity for increased agility and tenacious traction. This lightweight slip-on is perfect for adventure sports or everyday use. Long wearing, hardened, replaceable cleats. 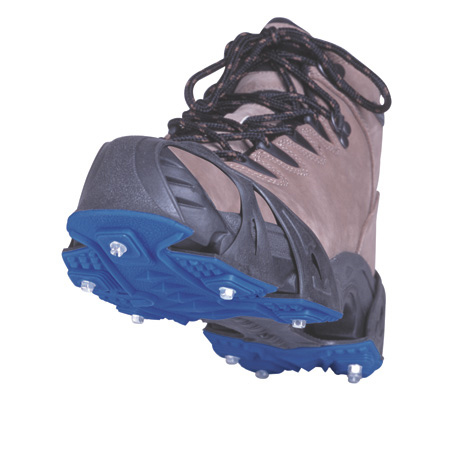 Dual density TPE Elastomer heal and toe cap stretch and hold STABILicers Sports firmly in place yet have an extended wear outsole in a light weight package. Fit shoes, work boots, hiking boots, and running shoes.